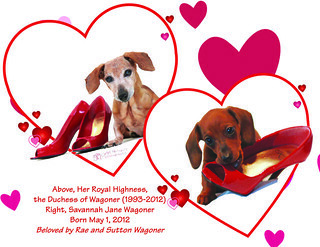 from her FB page: Today I say goodbye to my always happy million dollar dachshund, Jax. He survived 4 back surgeries & living with countless foster puppies. I know he is met at the rainbow bridge by lots of his friends. Godspeed, sweet boy. Tex. Til you meet again. He was adorable I remember meeting him in Buda. He truly is forever in my heart. I have met him and he was a sweet little guy. I have no doubt he will be met with affection at the bridge.